Mortgage markets improved this week as positive economic data was overshadowed by geopolitical strife. A flight-to-quality drove buy-side activity in mortgage bond markets, which, in turn, helped conforming rates fall. Last week marks the first time this year that mortgage rates fell on a week-over-week basis, and considering why rates fell, it points to the fragile nature of the global economy. By all accounts, last week showed that the U.S. economy is in recovery. Furthermore, the Federal Open Market Committee met last week and said that the economy continues to expand (although the pace is slower-than-optimal). Normally, positive news like this would drive mortgage rates higher, and during the early part of the week, it did. But then, as political problems in Egypt grew larger, international investors began to shift money from their risky assets into the relative safety of the U.S. bond market. This includes mortgage-backed bonds, of course. The buyer influx pushed up prices and, because bond yields move opposite price, mortgage rates dropped. The week ended with rates at their lowest levels of the week. Next week, though, rates could reverse. There’s two developing stories rate shoppers should watch. The first is related to Egypt. In addition to buying mortgage-backed bonds, investors are gambling that oil prices will rise, too. Egypt is the world’s 21st largest oil producer and a disruption of its supply could send gas prices soaring. This circumstance would be inflationary and inflation is the enemy of mortgage bonds. Crude oil jumped 4.3% Friday afternoon. If that continues, mortgage rates should start rising. The second is tied to jobs. Last month’s jobs data was weaker-than-expected on Wall Street and it sparked a mini-rally in mortgage rates to start the year. Jobs are paramount to economic recovery so if this month’s figures are lower than the consensus figure of 150,000, expect mortgage rates to fall. If the number is stronger than 150,000, expect mortgage rates to rise. 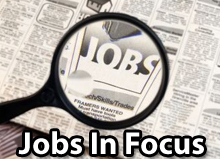 The jobs report is released Friday at 8:30 AM ET. Sales of new homes rose sharply in December, posting a 17.5 percent gain from the month prior. According to the Department of Housing and Urban Development, New Home Sales climbed to 329,000 in December, besting November by close to 50,000 units on a seasonally-adjusted annual basis. Last month’s reading is an 8-month high for New Home Sales, and the latest in a series of signals that housing is improving around the country. Note that December’s Existing Homes Sales and Building Permits reports also showed marked gains last month, climbing 12 percent and 6 percent, respectively. Furthermore, an interesting pattern is emerging in the price points of home sales. The highest levels of relative growth are occurring within the “move-up buyer” segments. Entry-level price points are lagging the market, as a whole. Luxury homes accounted for less than 5% of the newly-built home market, suggesting that homeowners are either not “buying new” as frequently, or are choosing to renovate their existing properties instead. 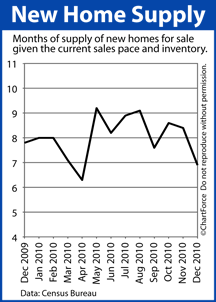 The 2010 housing market finished on a tear, and that momentum is carrying forward into 2011. Expect the spring season to show strongly, putting pressure on home prices to rise. Coupled with rising mortgage rates, the long-term cost of homeownership is unlikely to be as low as it is today. In its press release, the FOMC noted that since December’s meeting, economic growth is ongoing, but at a pace deemed “insufficient” to make a material impact on the jobs market. In addition, the Fed said household spending “picked up” late last year, although it continues to be held back by joblessness, tight credit and lower housing wealth. 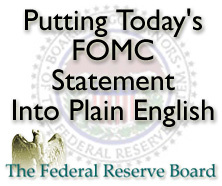 This is similar to the language used in the FOMC’s November and December 2010 statements. Also like its last two statements, the Fed used this month’s press release to re-affirm its plan to keep the Fed Funds Rate near zero percent “for an extended period”, and to keep its $600 billion bond market support package in place. And finally, of particular interest to home buyers and mortgage rate shoppers, for the second straight month, the Federal Open Market Committee’s statement contained an entire paragraph detailing the Federal Reserve’s dual mandate of managing inflation levels, while fostering maximum employment. The Fed acknowledges progress toward this goal, but calls that progress “disappointingly slow”. Inflation is too low right now, and joblessness too high. Mortgage market reaction to the FOMC has been positive since the statement’s release. Mortgage rates are unchanged, but poised to improve. The FOMC’s next scheduled meeting is a 1-day event, March 15, 2011.